Writing a 300 word piece of flash fiction is as much an art as writing a 300 page novel. When you have word restrictions, your writing tends to be more spare. Your concepts become visceral and simple, akin to basic necessities. I love the challenge of flash fiction. I’ve written stories ranging from 1500 words to 200. And I have to admit, it can be frustrating trying to fit a complex story idea into a tiny tale. But good flash fiction reaches right to the heart of the matter, succinctly and with a fist clutching at your throat. A lot of people think that flash fiction is just a snippet or a scene. Sure, you can fit that into a small word count and it might be relevant. This is easy to do when you’re writing about characters that already exist in a longer piece. But really good flash fiction stands on its own as a whole story, complete in itself. All the elements of a longer novel are in flash fiction: genre, setting, characterization, dialogue, theme–it’s just compacted down into a bit-sized shock of prose. So as someone who has won two flash fiction contests, I have a little bit of knowledge about what makes a good piece of flash fiction. A rock solid beginning. A beginning has to establish a sympathetic character, setting, and conflict. This should all take place in the first paragraph or paragraphs. Characters with passion. Often, my best stories present something that my character wants in the first few lines only to reveal later in the story what they truly, passionately need. Conflict. Something very real must stand in the character’s way. Choose something concrete that the character has to actually do something about. Action is essential in flash fiction because you don’t have tons of words to use for flowery description and buildup. Conflict that gets worse. 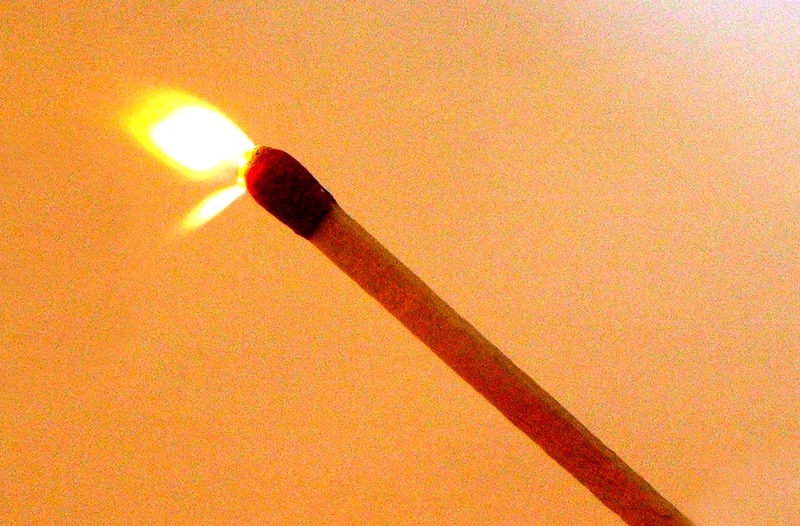 Just like in a novel, you have to raise the stakes in a flash fiction story. Due to the short nature, raising the stakes can be encapsulated in just one sentence or one paragraph. Readers want your character to earn their ending. Have your character fail at least once. A reverse that takes the reader’s breath away. My flash fiction is often based on the same structure as a joke–Setup then Punchline. The beginning and middle of the story is the setup, but then a twist occurs, giving the ending a punch. The ending will show the reader that what they perceived in the first part was either erroneous or did not explain fully the environment of the story. Trust in your audience. I took a class with Holly Lisle (a world-class flash fiction writer) who emphasized that like all good reading experiences, there is a bond between the reader and the writer. This is especially true of flash fiction. There are so few words in this type of fiction that it is essential you cut out every extraneous piece of narration, pare down characterization to the nub, and only hint at the theme of your story. You, the author, must know and trust your reader to remember the details from earlier in the story, realize what your story is saying, and understand the meaning behind the ending of the story. 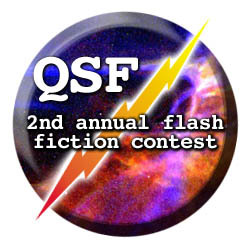 So today, my flash fiction story, The Road Block, is being published on the Queer Sci Fi blog and will also be published in the QSF 2nd Annual Flash Fiction Contest compilation book. You can read it for free online here. I’m so pleased to have placed third and be published along with some truly amazing authors of LGBTQ fiction. I hope you’ll check out my story online and look for the compilation book to be published later this summer!